* 3 May (Thurs) - Happy Wheels Waterloo Ride @ 6.00am @ Happy Wheels shop at Waterloo. Distinguished Gentlemen's Ride @ 10.30am @ Spruce Goose Cafe Centennial Park. 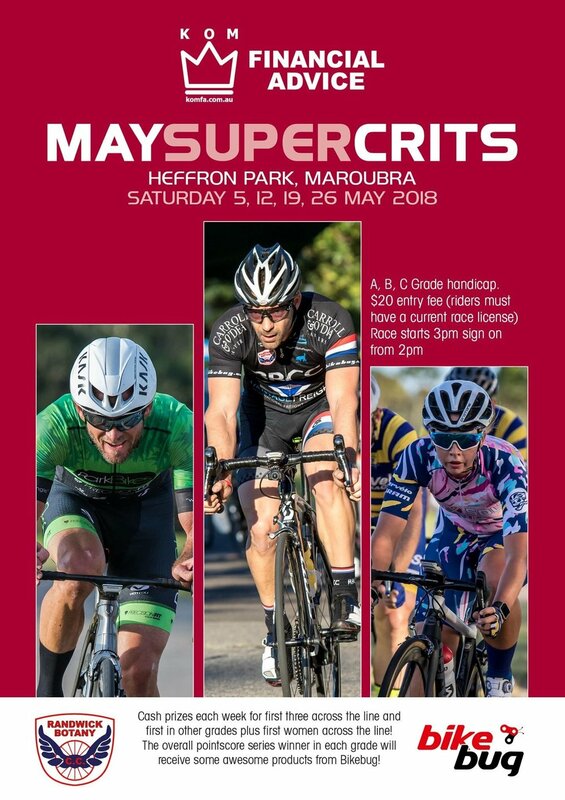 * BiciSport is keen to enter as many club teams as possible - be it under the Anytime Fitness banner or with our sponsored racing groups of Pilu Racing or Happy Wheels. We may even combine teams across the groups to allow as many people to ride as possible.